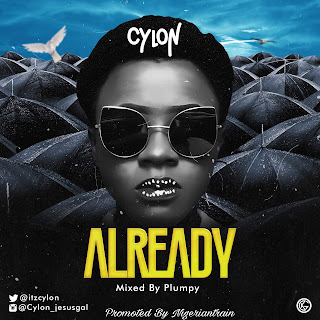 Young Gospel Artiste, CYLON who has so far caught the attention with her short freestyle videos on social media releases an official single after so much demand from the public. She has so far proved her singing dexterity by giving Gospel music another shape with her unique voice. Here is another mind blowing Gospel high-life music title ALREADY produced By Dpiano, mixed and mastered by Plumpy.